Venturing further into North Eastern Cuisine, I made Assamese Aloo Pitika, the delicious Aloo Chokha look alike. Simple, very easy and with the mustard oil giving its unmistakable fragrance and its unique character to the dish, I can’t understand why I have not been using mustard oil more often in my kitchen. Its not that I am not used to cooking with mustard oil. 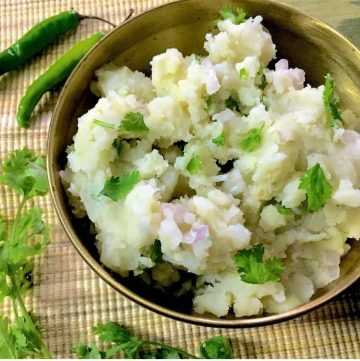 In fact we regularly made aloo chokha aka mashed potatoes, with mustard oil and the stuffed red chillies from my husbands village in Eastern UP, and it would taste awesome. The Assamese Aloo Pitika is, as I said earlier, really simple with just 6 ingredients including oil and salt! I have followed the recipe from The Essential North East Cookbook by Hoihnu Hauzel. This book is a treasure and I want to try more of the recipes from here. I am getting intrigued by North Eastern cuisine and am hoping to make a foodie trip there soon. 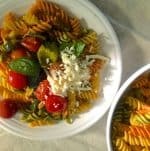 This is my 4th post on the food blogger group, Shhhhh Cooking Secretly Challenge . The Group runs like this: Every month each of us is paired up with another blogger, and a theme for the month also decided. Each of the participants name 2 ingredients for their partner, and we have to make and post a picture of the dish using these 2 ingredients. The remaining members of the group have to try and guess the secret ingredients. Its a lot of fun and ever since Amrita Iyer suggested we take up each of the Indian States by turn for the theme, it has become really interesting. 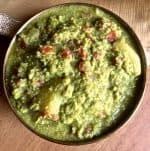 The theme for November was Assamese cuisine and my partner for the month, Poonam Bachhav, gave me the names of 2 ingredients as the secret ingredients – mustard oil and potatoes which fit perfectly in with the Assamese Aloo Pitika. Poonam blogs at Annapurna. 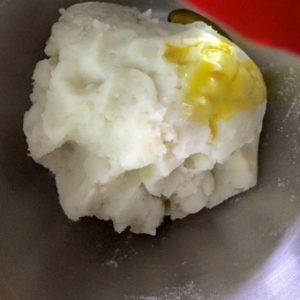 Do visit her blog, she has a variety of healthy and tasty food recipes including ‘no onion no garlic’ recipes and eggless bakes too. 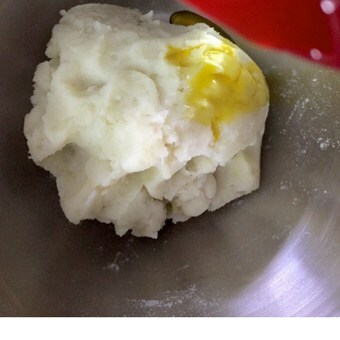 I love the way she posts images for each step of the process so that the recipe is easy to follow. For Poonam, I suggested pumpkin and mustard oil as the secret ingredients, and she made this delicious looking Pumpkin Oambal, a chutney that showcases Assamese cuisine. This is the first time I have attempted Assamese food and I did some reading including the lovely detailed descriptions in each chapter of the Essential North East Cookbook, before I selected the Assamese Aloo Pitika (or Alu Pitika) as my dish of the month. As in many regions in India, the food is based on the locale. There are different tribal settlements across Assam and the cuisine has developed from each of these. Rice has traditionally been the staple food. The cuisine has become influenced by Thai cuisine and hence ingredients like bamboo shoots, coconut milk and lemongrass are used in some parts of Assam. The people of the Asomiya tribe lived along the banks of the Brahmaputra, and fresh fish became part of their regular diet. For those like the Bodos, Karbi, Rabha and Mishing peoples living more inland, dried and fermented fish became the norm as fresh fish was not readily accessible. 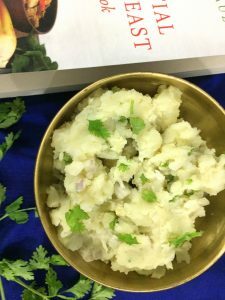 Basically the food preparations are simple, as can be seen in this recipe for Assamese Aloo Pitika. Some oil is used, usually mustard oil, unlike most other North East cuisine where oil is rarely used, but here too it is kept to a bare minimum. Very few spices are used in the cooking. 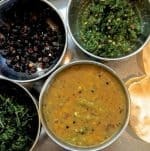 Mustard seeds and methi (fenugreek are used), as well as green chillies and ginger. There is a lot of interesting information about this cuisine, which I will write in a separate post. Set the potatoes to boil. 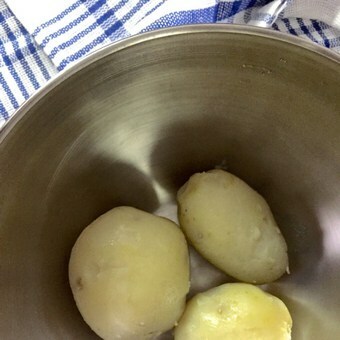 I used a pressure cooker and cooked till 3 whistles so the potatoes became soft and fully cooked. The timings above are based on the same. Add salt, chilli, onion slices and mustard oil. Mix it all well. Either mix in the coriander leaves (which is what I did) or use them as garnish. Serve with rice and dhal or with roti, whatever you please! What an interesting idea Sunayana! I can imagine the contrast in flavours, olives, potatoes, mustard oil! I will make it again this way and add to the post ( with credit to you, of course)! 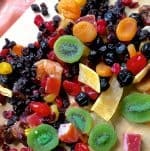 Delicious six ingredient recipe. Loved the use of mustard oil aswelll! Thank you Sumith! These traditional recipes are so good! Thank you Sumith! 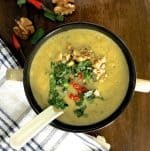 These traditional recipes are so full of flavour! Ma’am should we use mustard oil raw or should we heat it till smoking point and add it to the mashed potatoes? Raw, Shyamala. Just add with the other ingredients and mix. Great for Delhi winters! Such a lovely simple preparation…. I am sure going to try this. Thank you Seema! The mustard oil made it special! Such a simple recipe. I am a very very recent convert to using Mustard Oil and am still getting used to it. I will try it in this Aloo Pitika. It tastes so good, Aruna! I loved it! Its so good to learn a bit more about Assam through your post. I too should use mustard oil more often, though I don’t really like the smell. 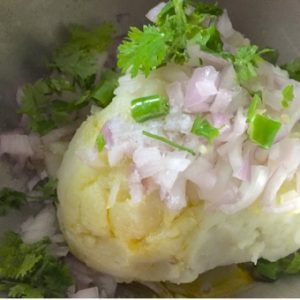 Will try out this aloo pitika recipe. When I first taste food cooked in mustard oil, in my mother in law’s kitchen, I didn’t like it either. But the taste grows on you over time and I loved it in the Aloo Pitika!